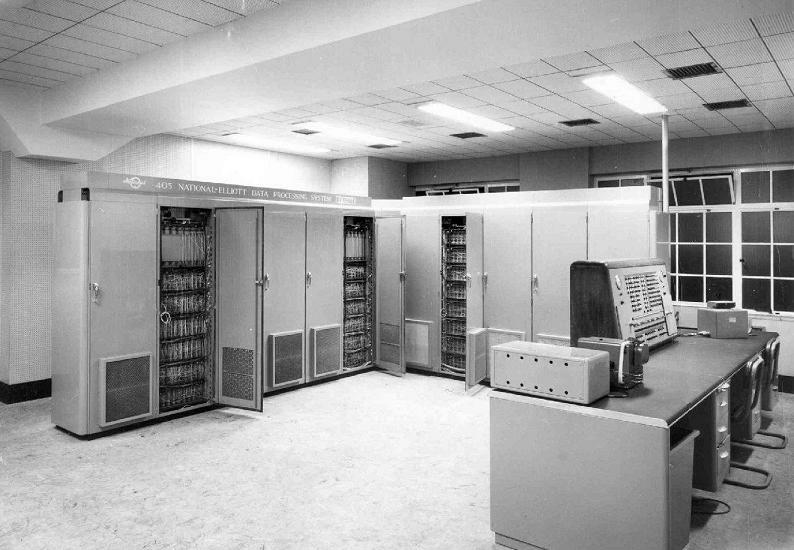 Elliott 405 was Elliott’s first serious product to enter the world of commercial and business data processing (as opposed to scientific and engineering applications). By 1956 the Elliott company had established a marketing arrangement with the British arm of the National Cash Register company of Ohio, USA. NCR Ltd. became responsible for selling Elliott 405 computers to businesses. Hence the machine was often marketed as the National-Elliott 405. In 1957 an Elliott 405 cost between £50,000 and £125,000, depending upon configuration, with an average installation costing approximately £85,000.